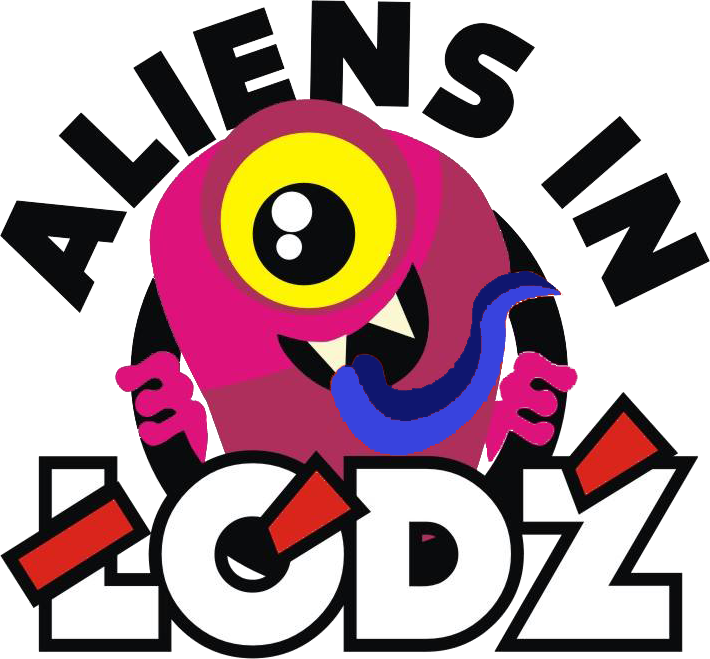 There is a kingdom of stickers and Aliens visited in our mission to Berlin. 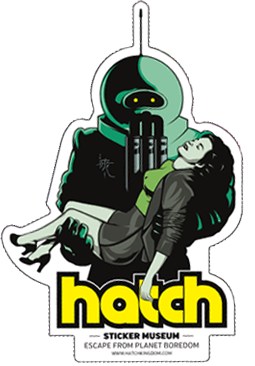 Hatch Kingdom is not just a place where you can buy your favorite stickers, it’s also an unique museum, the only sticker museum in the world which make this place even cooler. Oliver Baudach is the emperor of Hatch Kingdom. 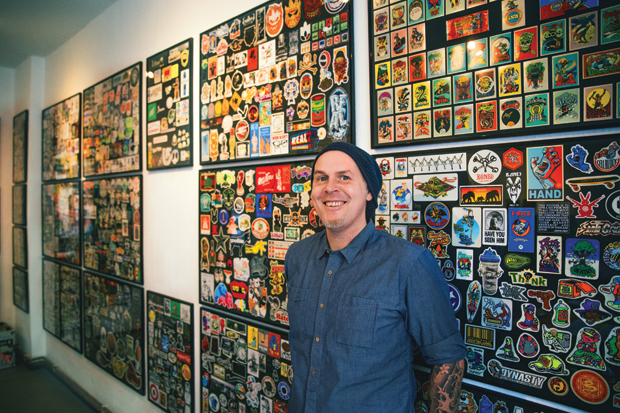 He started to collect stickers at the age of thirteen and nowadays he has around 4500 stickers in his museum. We randomly found out about this place in the guide “Gratis in Berlin” which is really useful, although all the info is in German (thank’s god for google). When we arrived to this museum we were a bit surprised, because it looked close. The jazzy sounds coming from inside made us not to give up, so we started to slowly knock in the window. Suddenly we saw Oliver coming to open us the door. Sometimes he is working in his office, at the back of museum, so if you go there and the looks like it’s closed although it should be open, don’t freak out and just knock. 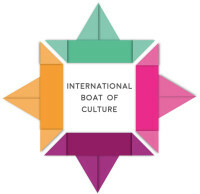 We received this really cool sticker as an entrance ticket. 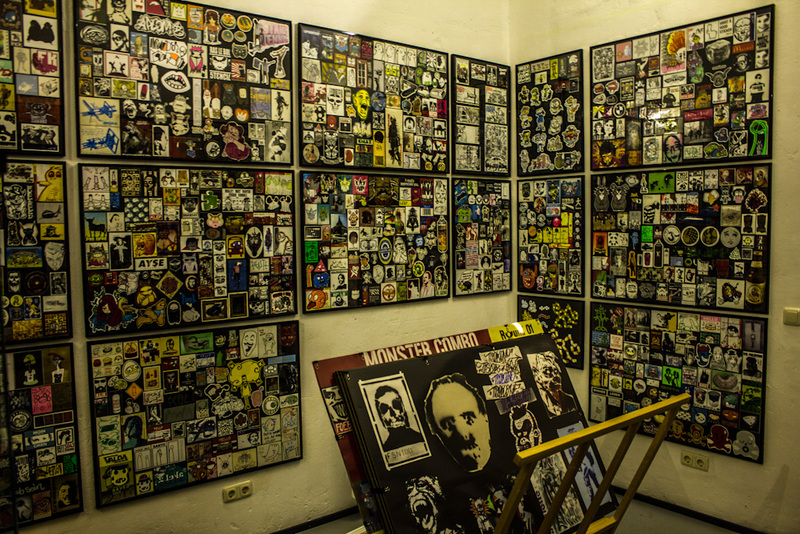 In the museum you can find all kind of stickers from famous skateboard brands to street art and many more. At the end of our visit we had a great conversation with Oliver. He told us how he started Hatch and this was very inspiring. He used to work for a big company and earning good money. At some point he could not put up with all the stress of his job. He took one year off and after it he decided to start his own project, doing something that he really loves and having a more relaxing life. Even if he is keen on his passion for stickers and wishing to share it with as many people as possible, apparently the authorities and touristic guides avoid him. Seems that this kind of “art” it’s not their taste, but for sure it’s Aliens taste. So don’t be surprised if not many berliners will now about this unusual museum. After half an hour chatting with about street art and artists in Berlin, the funny moment came. He told us that her mother is from Germany, but his father is from Cataluña (Spain) and he grow up there. So I told him that I’m Spanish also, and both started to laugh and switch to Spanish. 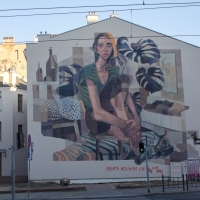 Another curious story in Berlin was the one about the artist aka “Blue” and how he covered two of his murals, because a big hotels company bought those buildings, you can find more information about this here. At the moment, the new exhibition is under construction, but even like this, the collection it’s quite impressive. Normally tickets cost 2,50 €, but Oliver won’t charge you for entrance until he finishes the new exhibition. For more information don’t hesitate to check his website.